Blue Camp is an experience service provider offering maritime experiences for both private persons and companies. Charter cruises and boat transportations with boats for 4-24 persons. Adventurous excursions to the nature and tailor-made excursion packages. Canoeing, hiking and fishing trips. Meals in the wilderness. Boat and equipment rental. Boat transportation to the archipelago (boat for 4-6 passengers). Passenger transportation in archipelago, also during winter time. The boat takes 10 passengers. Archipelago maintenance and repair services. 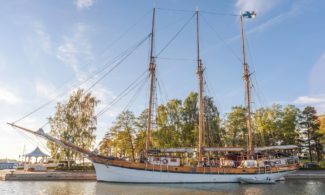 Beautiful sailing ship m/aux Kathrina (75 seats). The ship is registered as a traditional sailing ship. Charter cruises with a 44-feet sailing boat. 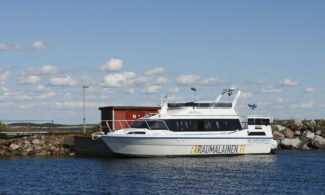 Boats: m/v Apollonia (60 seats, of which 40-45 indoors), m/v Linnea (98 seats, of which 55-65 indoors), m/f Rosinante (accessible boat, 40 seats). Daily water bus traffic to the islands in the summer.